Nantucket natives Sabrina Dawson and Gaven Norton wanted to create a unique neighborhood restaurant providing a place where locals can dine year-round and enjoy a casual, friendly atmosphere. Most island restaurants are only open during peak tourist months and dining options in the off season are extremely limited. Keepers hopes to fill this greatly needed niche with an approachable price point. 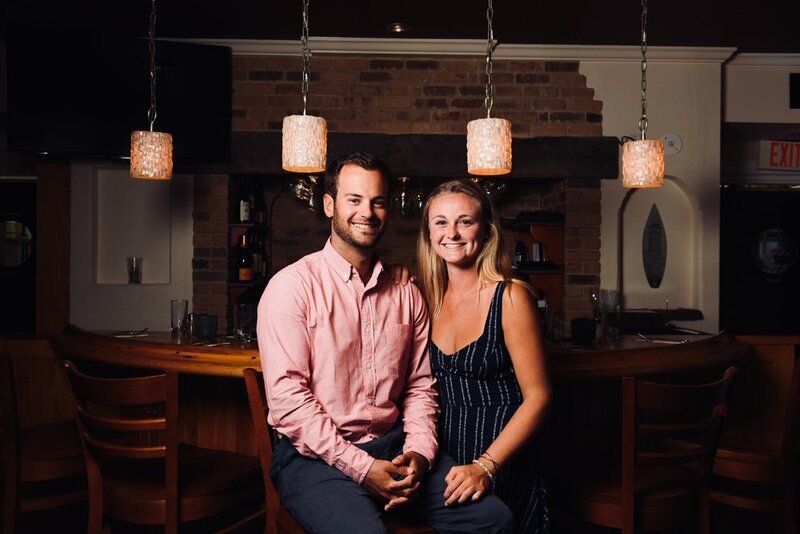 With Sabrina’s local restaurant background (Fog Island Café) and Gaven’s island business experience (ACK Surf School), they are taking their love for Nantucket and creating a fun, vibrant local dining spot. Keepers menu is a collaboration of our favorite dishes that we love to eat and are passionate about cooking. We offer our guests the freedom to create their own dining experience with our unique “Pair & Share” philosophy. Guests can customize their meal by pairing menu selections together and sharing is highly encouraged with family-style plating options. We believe in eating together: Great food and fun times are meant to be shared. At Keepers Restaurant, we embrace our Nantucket roots and aspire to be an integral part of the amazing community and beautiful island we are so lucky to live in. We are excited to have you dine with us.